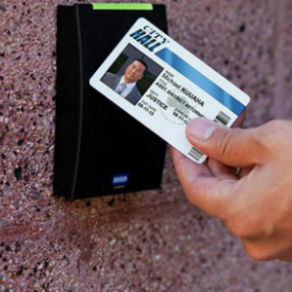 ATS Security Group provides all types of Access Control Systems. 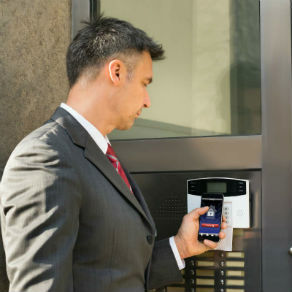 These access control systems allow whoever is authorised to enter into a room, lift, building or car park. ATS Security Group can also provide further peace of mind with back to base alarm monitoring services. 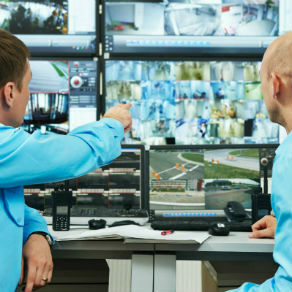 ATS Security Group have a variety of CCTV systems and camera types from single to multi-angle systems, IP cameras, remote access capabilities, as well as being able to connect everything to your network and link it all in with your alarm monitoring as well. ATS Security Group will discuss products and services that will meet your needs, and then recommend an approach to accommodate both your concerns, risks and budget. 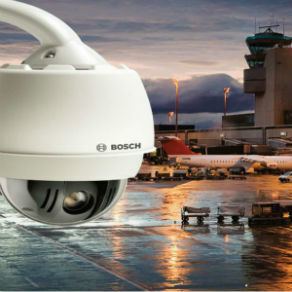 We offer many solutions that can secure your business or home. I entrust all my security needs to ATS Security Group. I use them exclusively for all of the installations and monitoring of all of my offices and have done so for many years. They are very competent and nothing is ever too much trouble for them, I have rung them numerous times after hour and they have responded immediately and resolved my issue/s within hours. Their monitoring service is exceptional. I reccommend them with my highest commendation. I only use ATS Security Group for all my security needs, purchases, installations and monitoring. They are extremely knowledgeable and ver conscientious and the cost of the equipment is not only of the highest quality but very cost effective. I have found their work is far superior ot any other company. Their monitoring service is fantastic, I can remote in to view any part of my premises, whenever and wherever I am located.